After having zoomed to approximately 2000% it is to be noted that the pixels in the center of the sun are somehow "yellower" than those on the outside. 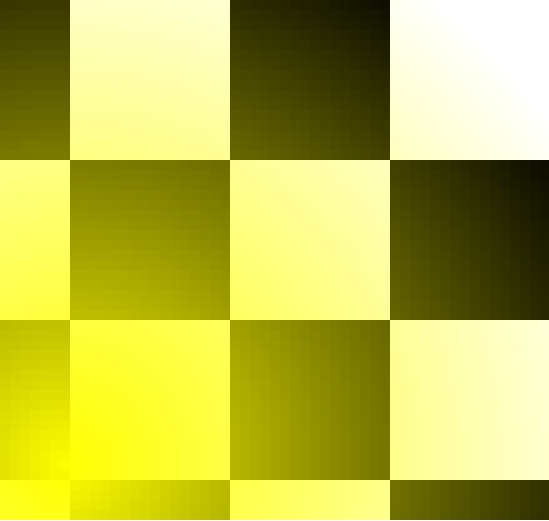 In reality, the pixels making up our sun are all yellow. However, the pixels in the center are less transparent (or more opaque...) than those on the outside. You will notice that the pixels of the sun let the colors of the check background through with more or less intensity while the pixels of the house are completely opaque: it is impossible to see the check background through the house.